Where hasn't he played? For close to 50 years Mountain John Hilligoss has performed from coast to coast for money and for free. Strumming his guitar and singing songs about love, traveling, and searching for the sunrises and sunsets of his musical dream has been his job. More miles than the law allows, this wandering troubadour, balladeer, poet, singing entertainer has taken the stage in ski resorts, beach resorts, redneck beer halls, fine dining restaurants, campgrounds, and convention halls. John has never had another job since the age 11 when he got his first guitar. Some people know from birth what their dream is, some never know; but, John has known his whole life. Tapping his foot to a melody in his head as a baby in the crib, music has always been his life. Six months after receiving his first guitar he was paid to sing for an after dinner show at the Moose Lodge in his home town of Bartlesville, Oklahoma. From Civic organizations to Governor's Mansions, he has seen it all and played them all. He has spent the last 10 years in western Pennsylvania married and working on health issues. The same issues that arise in most people's lives as time goes by. 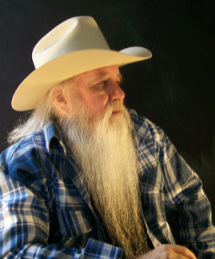 He has also recorded over a dozen CDs through the years and written a book about his life. The prompting of friends and loved ones has caused him to upgrade his gifts from cassette tapes and CDs to MP3s. A large amount of poems, songs, and stories have now been collected from the travels of his life. They are being organized as we speak. John hopes to have his gifts of poetry, music, and stories available on the Internet as time goes by. A web page is under construction and you can always contact him at his home phone, 814-444-1995. Stay Tuned for photos and new information and leave us your email so we can add you to the list and let you know what is happening.